Acumatica provides a web-based ERP solution with integrated CRM and document sharing capabilities. You can get Acumatica as a subscription (SaaS) or purchase the license, and switch between both as you need. With Acumatica, you can provide integrated financial reporting and business analysis across all your affiliated companies and subsidiaries from a single, centralized system. Worldwide access and strict access controls allow everybody to perform their specific role in the consolidation process without gaining access to confidential data. 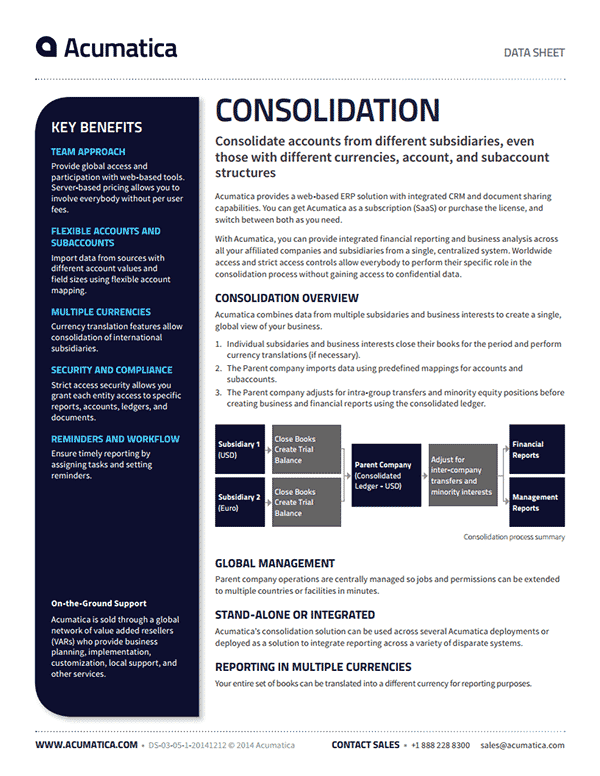 Download the Consolidation Overview datasheet to learn more.